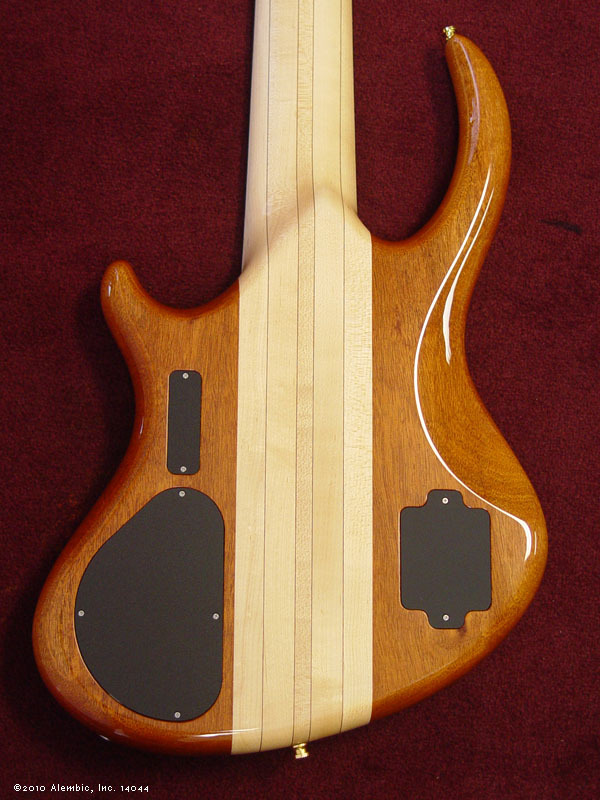 For 6-string bass, the Rogue body shape is ideal. The long upper horn translates in to superb balance. This lovely example showcases a gorgeous Coco Bolo top that's full of swirls, loops, and closely stacked parallel grain for a visual feast. 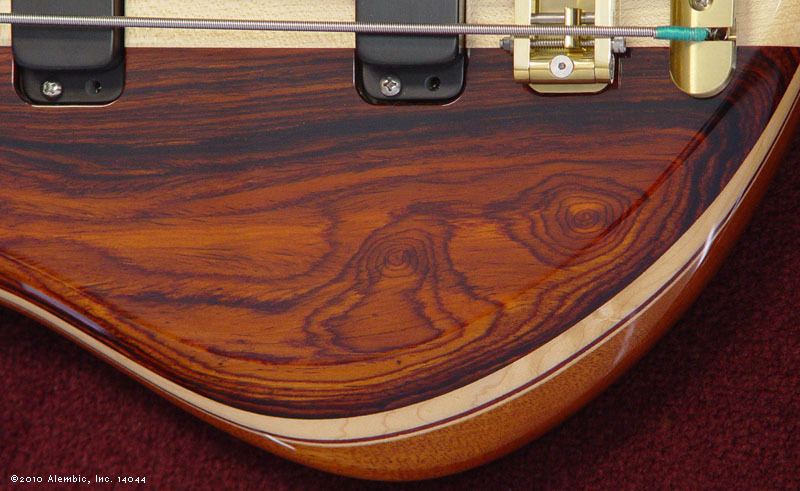 Coco Bolo gives a tone that is dark and round, yet still bright - complex and versatile. It's absolutely our favorite wood at Alembic. Easy to play neck has our integrated fingerboard carving. 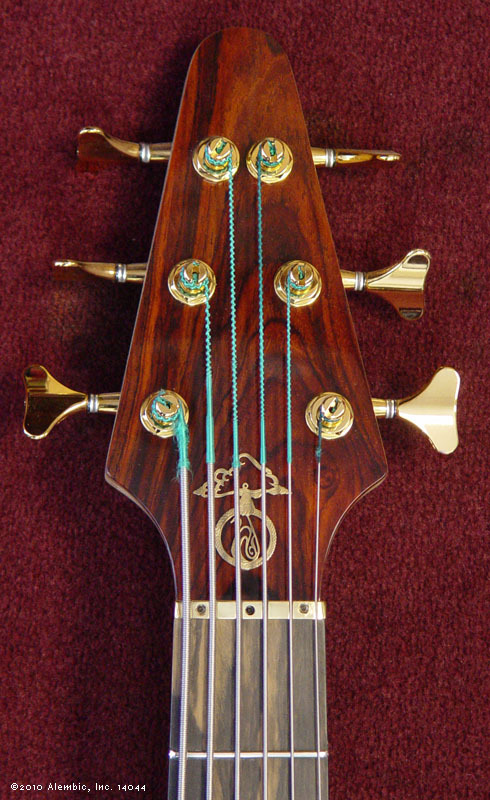 We incorporate the fingerboard in the profile of the neck shape while many others slap a rather squarish board on the carved neck. 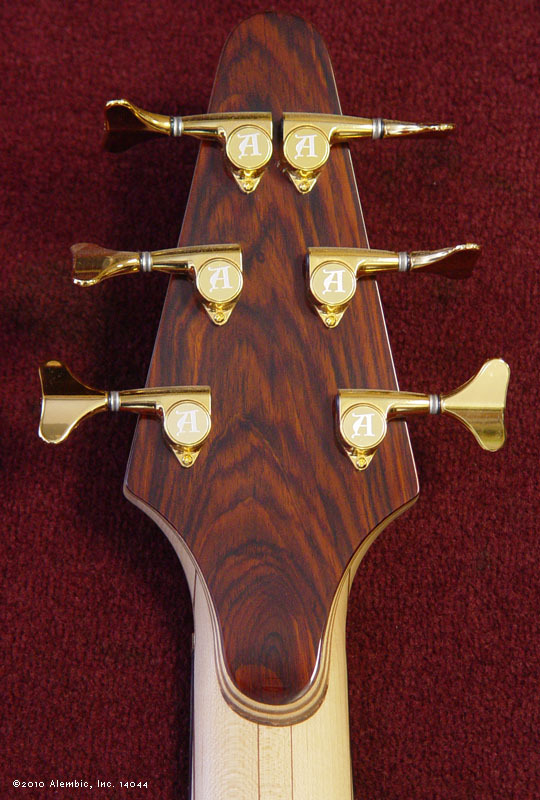 That makes our necks feel more sleek, and when you look straight at the back of an Alembic neck, you see a peek of the Ebony fingerboard. 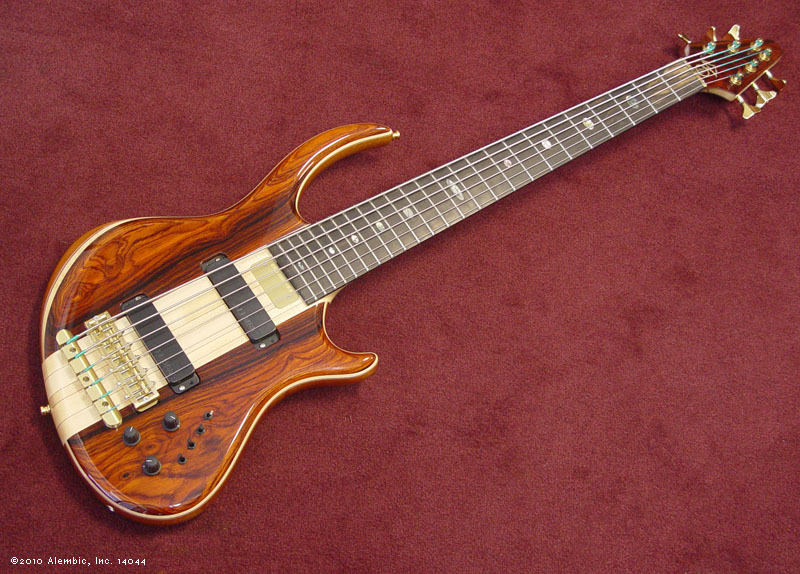 For a 6-string bass, it makes it feel much smaller than it looks, and is surprisingly comfortable to play. Contact Atlanta Bass Gallery to arrange purchase.